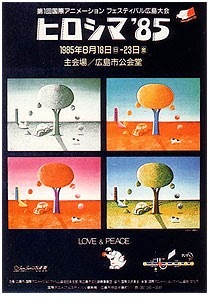 The first Hiroshima International Animation Festival was held in 1985 under the motto “Love and Peace”. 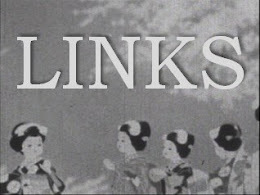 The festival’s founders, Renzō Kinoshita (木下蓮三, 1936-1997) and Sayoko Kinoshita (木下小夜子, b.1945), had long believed in the ability of animation to be a kind of international language that could bring understanding between people from different cultural backgrounds. During the Cold War, the need for such a form of communication was imperative. 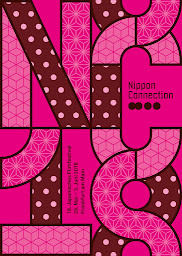 Last year, the festival celebrated its 30th anniversary as the oldest ongoing animation festival in Japan. The need for “Love and Peace” in our troubled world means that the festival’s aims are just as relevant today as they were in 1985. The idea for the animation festival dates back to 1972, when the Kinoshitas made their independent animation short Made in Japan (1972). It won the Grand Prix at the inaugural New York Animation Festival. The international recognition of their animation talent led them to believe that they could make a success of their small production company Studio Lotus. They quickly realised that their brand of non-mainstream animation was not commercially viable in Japan. This led them to come up with the idea to establish an international animation festival as a way of bringing attention to independent animation while at the same time providing a networking forum for artists. They worked on this idea for 6 years to no avail. 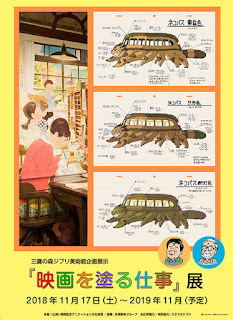 At the same time, Studio Lotus was making Pica-Don (1978), an animated short that depicts the day the atomic bomb was dropped on Hiroshima (learn more). 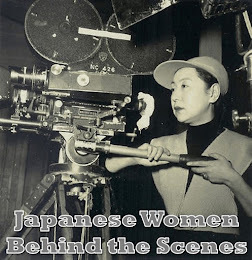 Although they had carefully researched their project and based it upon testimony and art by victims of the atrocity, such a film had never been made before and the Kinoshitas were uncertain of how the film would be received. 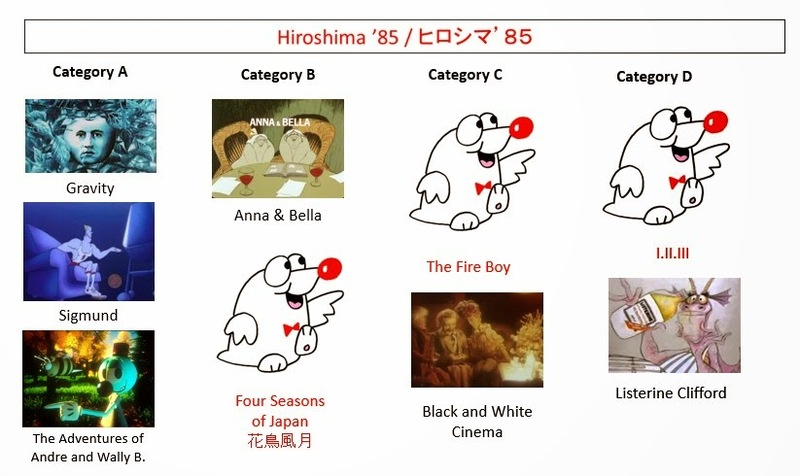 They were delighted to discover that the people of Hiroshima valued the film, and many citizens there encouraged them to continue with their idea for an animation festival. By the early 80s, the Kinoshitas were on the verge of giving up and moving to New York City when the city of Hiroshima called them to officially ask them to run the festival. The couple ran the festival together up until Renzō's untimely death in the winter of 1997. Since then, Sayoko has been at the helm. ASIFA-JAPAN, which Sayoko Kinoshita has been president of since 1981, gave its patronage to the festival. The festival has a loyal brigade of volunteers, including long-time Studio Lotus assistant and ASIFA-JAPAN general secretary, Makiko Oura. The festival’s mascot Lappy, was designed by Renzō Kinoshita in 1985. A contest to find a name for the character was held with 4,762 entries from all corners of Japan. The winning name, “Lappy”, brings together the “L” from the motto “Love and Peace” and “appy” from “Happy”. In my series about the festival, I will be using an image of Lappy as a stand in when no images for a winning film can be found. Animators representing 39 countries took part in the first festival. 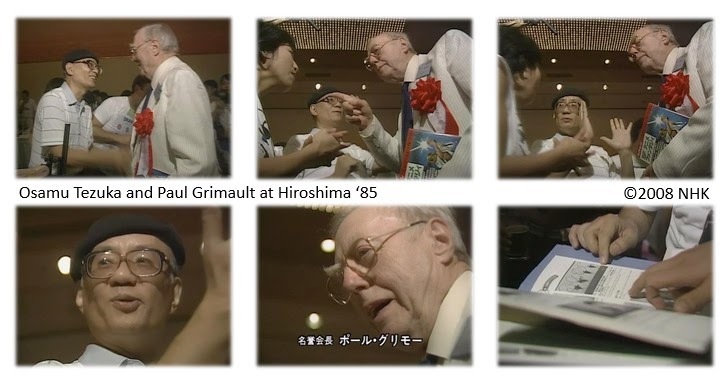 Paul Grimault, the pioneering French animator, was the first International Honorary President. Japan’s legendary puppet animator Kihachirō Kawamoto, fresh off the success of the NHK puppet spectacular Sangokushi, chaired the International Selection Committee, while Belgian animator Raoul Servais chaired the International Jury. 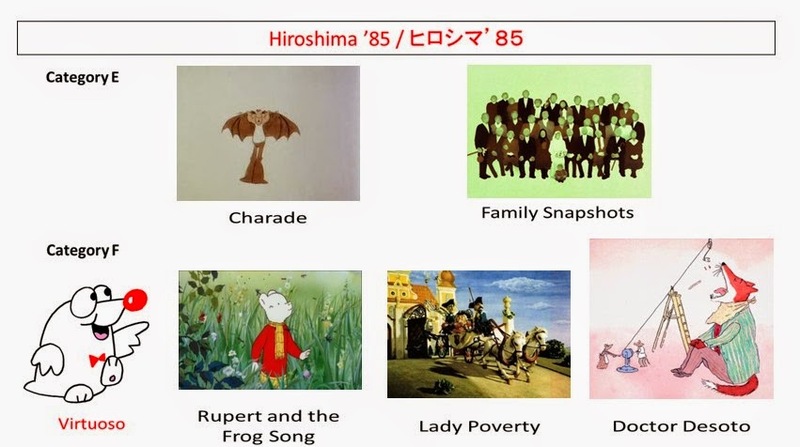 The first Grand Prize went to legendary manga-ka Osamu Tezuka for his innovative animated short Broken Down Film (おんぼろフィルム/Onporo Firumu, 1985) – a clever homage to early animation and silent cinema. The Hiroshima Prize went to Canada’s Richard Condie for his hilarious, much-lauded short The Big Snit. It turns out that young Shinozuka attended the same high school as Tezuka himself did. Although the film has no sound, Kawamoto describes how you can feel the greatness of the wind in the way it has been animated. They also discuss how it might have been influenced by the movies of Akira Kurosawa. They agree that the film is unique and surprising for someone so young and express their hope that he will go on to make more films. I have not been able to find any evidence that Shinozuka made any more animation after this one. The inaugural festival had more categories than today’s festival, with three different film length categories and special sections for children’s films and promotional films. In addition to the competition programmes, a retrospective of the works of Ishu Patel was held with Patel himself in attendance. This proved a life-changing moment for one of the audience members: a young Kōji Yamamura, who has cited this screening event in many interviews as having had a profound effect on him as an animator. Yamamura’s Aquatic screened at the second festival in 1987 and he went on to win many honours at the festival over the years, culminating in the Grand Prize for Mt. Head in 2004. In 2008, he became the second person after Frédéric Back to win the Grand Prize twice with Franz Kafka’s A Country Doctor. At last summer’s festival, Yamamura was on the International Jury. In addition to a retrospective of the work of Ishu Patel, retrospectives were held of the works of other members of the selection committee and jury including Kawamoto, Furukawa, Engel, Servais, Pojar, and honorary president Grimault. There was also a retrospective of the works of John Halas, as well as special programs of World Animation (with a special focus on Asia, USA, and Europe). 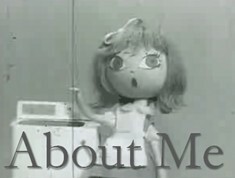 Other programs included: “Panorama”, “Best of the World”, Animation for Children”, “Animation for Peace”, “Computer Animation”. Symposiums were held on “Computer Animation and Cell Animation” and “How to Teach, How to Learn”. 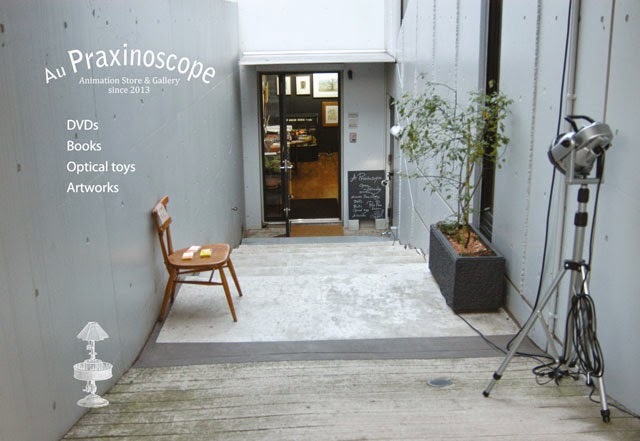 There was a seminar on “Animation and Peace” and on “The Fun of Shiritori ‘85” and there was a children’s workshop. Clements, Jonathan and Helen McCarthy. The Anime Encyclopedia, Revised and Expanded Edition: A Guide to Japanese Animation Since 1917. Berkeley: Stone Bridge Press, 2012. Ehrlich, David. 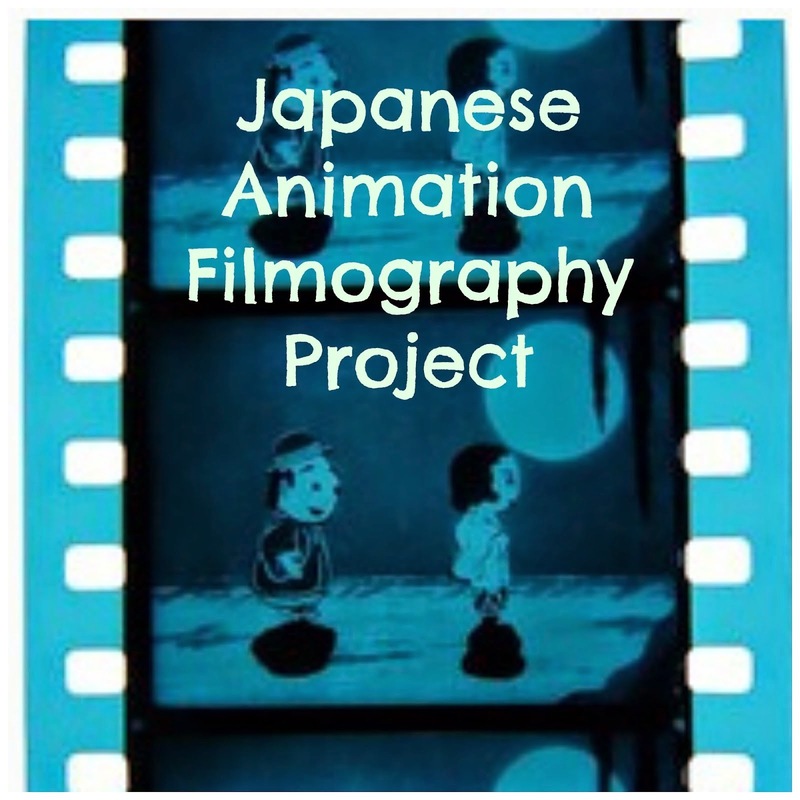 “Vignette: Memory of an Animated Couple: Renzo and Sayoko Kinoshita.” Animation in Asia and the Pacific. John A Lent, ed. London: John Liddy Publishing, 2001, pp. 51-54.